The OVEREADY body extenders are machined entirely from aluminum with knurling that looks and feels like the SureFire 6P Original. Also, much like SureFire lights of the past, the interior and tailcap threads have a golden appearance from the application of a chemical coating for corrosion and chemical protection. 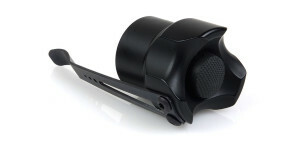 The anodized finish on both samples is evenly applied and is absolutely flawless on the HA Nat 18350 extender. The Type II Black 18650 extender was also well done but did exhibit a few tiny pin pricks in the anodized finish, which is not uncommon for knurled bodies with this finish, including the SureFire 6P Original. Just like the OVEREADY custom flashlight hosts, the body extenders are bored to accept 18mm batteries and are equipped with double O-rings at the tail. 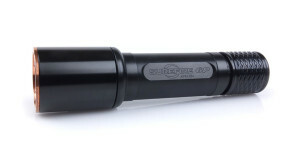 The 18350 body extender is virtually identical to the discontinued SureFire A19 extender with regard to exterior dimensions and design. 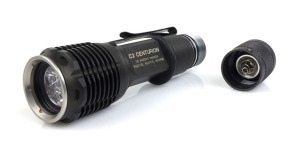 Although SureFire never produced a 2-cell extender, the 18650 body extender looks the part by incorporating the same basic design as the SureFire parts. Both extenders fit perfectly with my bored SureFire hosts. The HA Nat finish of the 18350 extender was slightly darker than the finish of my SureFire C2 but is still a good match. The Type II Black finish of the 18650 body extender looks almost exactly like the finish on my bored SureFire 6P original. 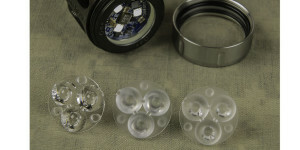 Body extenders such as these have always been a valuable commodity for anyone who enjoys modifying SureFire P60-based lights, due to their ability to expand the quantity or size of batteries used to supply energy. With the selection of the right extender and battery combinations, users may tailor their lights for better performance, whether that is increased output, longer runtime, or both. The OVEREADY body extenders are a perfect match for SureFire hosts with regard to fit and function. The threads are well cut and have provided very smooth engagement with every host I have tested them with. The overall feel and appearance of the extenders matches as well as can be expected considering the number of changes SureFire has made to their knurling and anodized finishes through the years. I honestly thought they were original SureFire parts when I first took the body extenders out of the package. 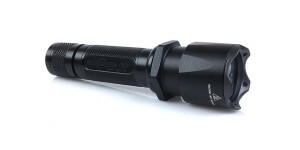 For several years the best option for extending a SureFire host was to purchase the original SureFire A19 and paying to have it bored out to accept larger lithium-ion rechargeable batteries. However, with the A19 being discontinued, the most common source has become cheap knock-off versions that do not look, fit, or feel like the originals. Thankfully these new extenders from OVEREADY have fixed that problem. Best of all, they actually cost less than an authentic SureFire extender that has been bored to accept larger batteries. For more information about the 18350 or 18650 body extenders, visit the OVEREADY website or use the links to specific items below. 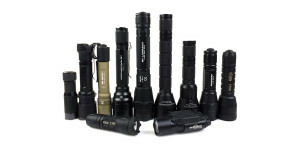 Posted in Flashlight Accessories, Flashlight Reviews, OVEREADY and tagged Flashlight Upgrades, OVEREADY, Surefire. Is there any reason why I couldn’t use the 18350 extender on my OR bored Elzetta Charlie in order to accommodate 2 x 18650s? The 18490s just don’t have enough capacity for me. I think there would be issues with the Elzetta high low tail cap, but I could use a Z41? Or an I way off here?